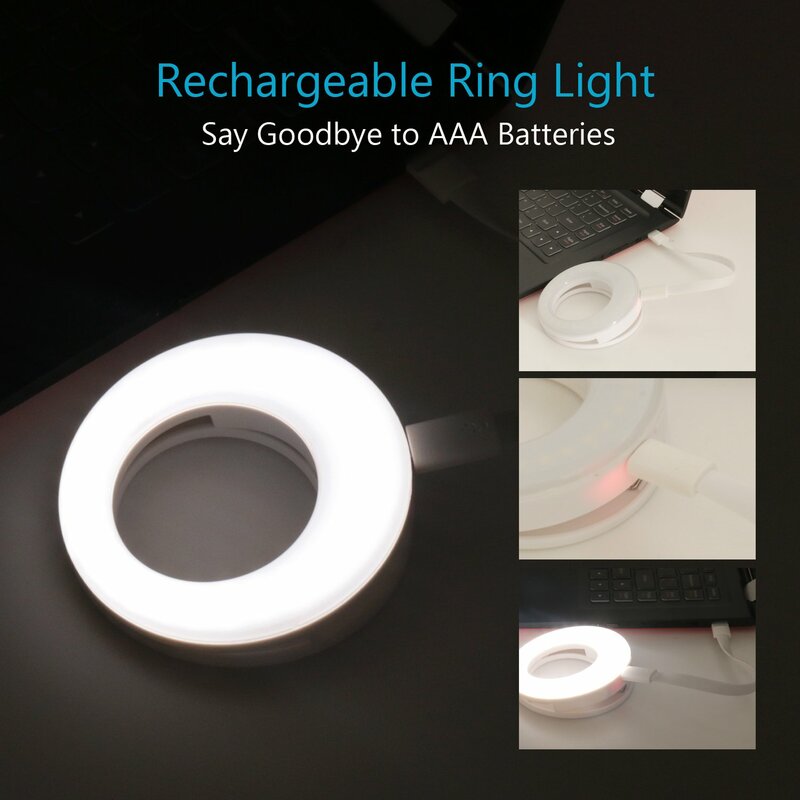 Rechargeable with USB Cord. 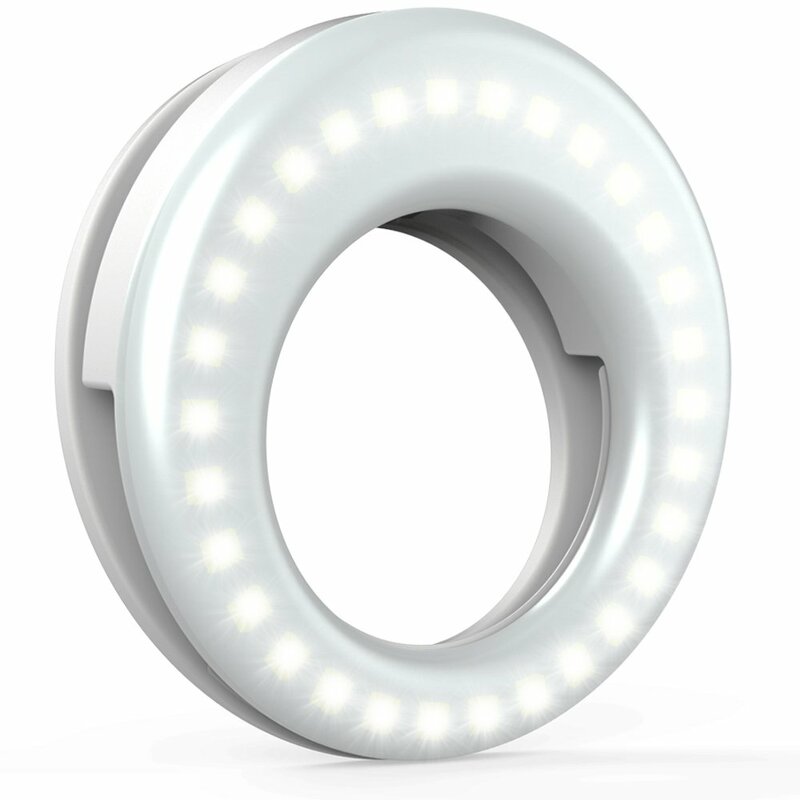 This ring light includes a built-in rechargeable battery so you do not need extra batteries. Money saved and free from annoying battery replacement. 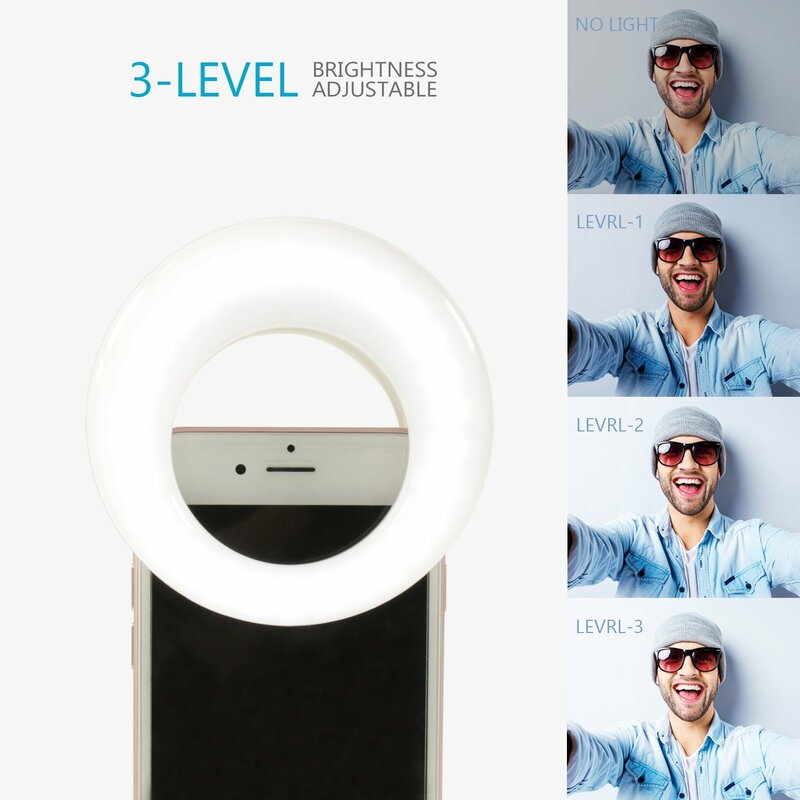 Brightness Adjustable. 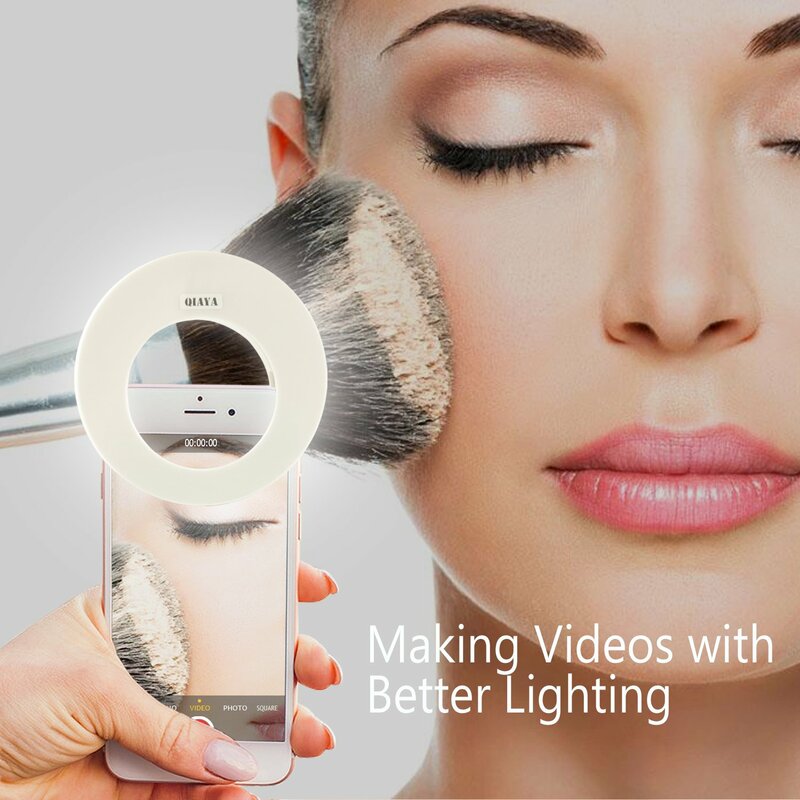 Three-level light settings for various uses — make-up, selfie photos, dark scenery vlogging etc. 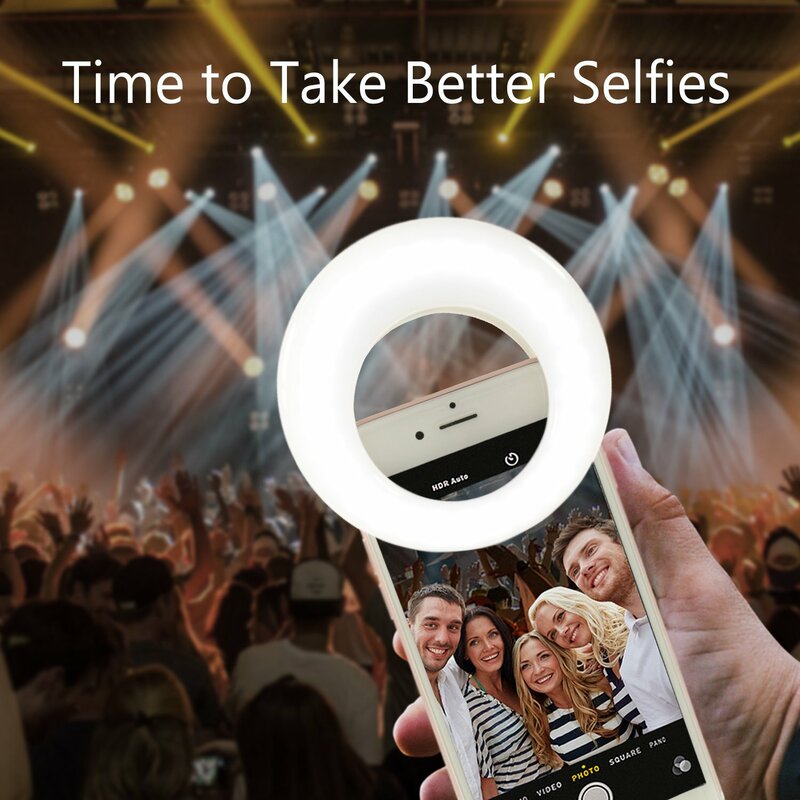 Let this ring light highlight you and darken everything behind you. Compact and Light Weight. Pocket sized and extremely compact, it will not take much space in your bag. 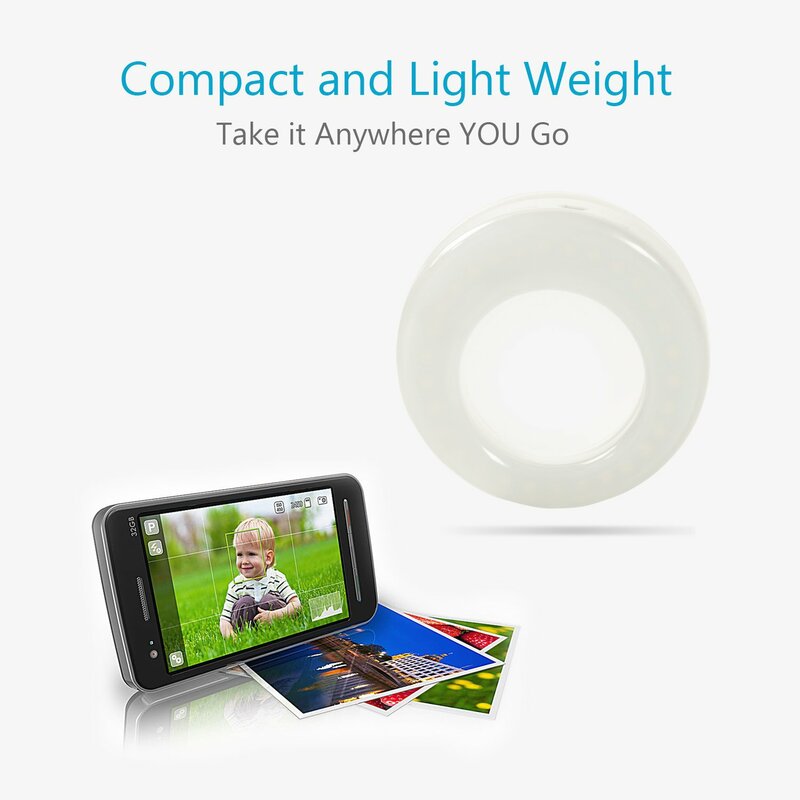 Take it with you anywhere you go and record all happy moments in your life! Zero Risk to Buy! 100% money back guarantee. If you are unhappy with the light for ANY reasons, we offer new replacement or full refund WITHOUT return. Just contact us through clicking “Sold by” on the product detail page or your Amazon order page and you will be directed to “Ask a question” to send us message. 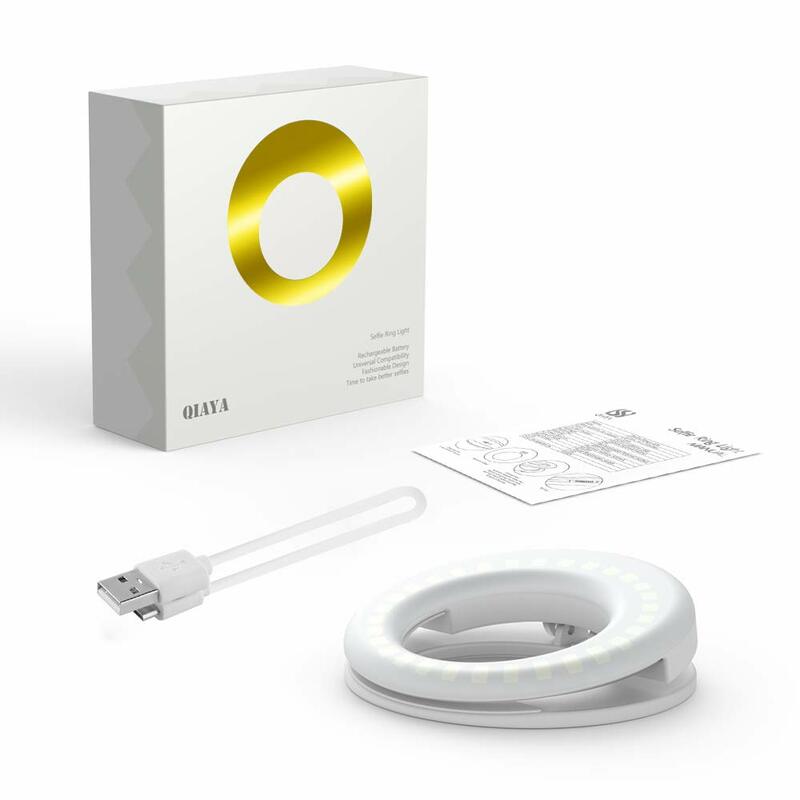 We will ship new replacement or initiate full refund for you within 12 hours.